"The process was delayed because the reorganization commission had no evaluation. Now it is completed, a positive review from the State Property Fund has been received," he told Interfax-Ukraine on the sidelines of the YES Conference organized by the Victor Pinchuk Foundation in Kyiv. "This process will be completed in full before the middle of November," the head of the company said. He added that synchronously to the process the supervisory board is being approved. "The selection (of four independent members of the supervisory board] was completed two and a half or three months ago, but there is no decision on the appointment yet. 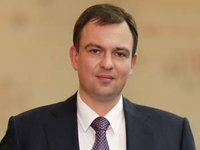 I hope that this issue will be resolved in a week or two, and this will open the way for further transformation of the company, and the corporate governance reform will be completed," Kovalchuk said.